P.J., this one is for you. PJ, Today was the day!! In truth, it was the day I decided to start blogging again. It’s my first true day of summer vacation. Woo hoo!! I have a schedule I am going to try to stick to with each day having a different topic that I am going to try to adhere to, so we will see if that helps me blog more frequently. I miss it so much. But for today, I just want to tell you about roasting fruit. I have been reading about it everywhere. 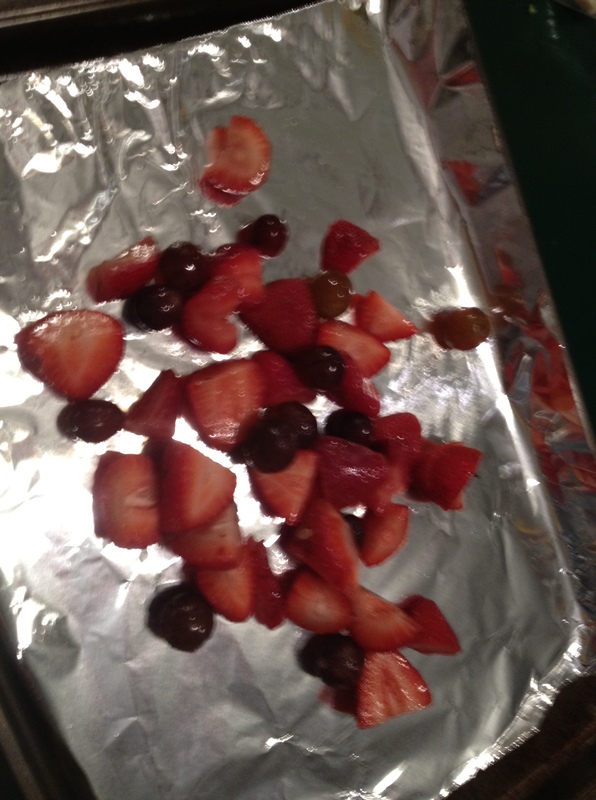 Roasted grapes and strawberries being the ones I see the most frequently. So, today, I decided to try it. I mean, every thing is better roasted, how could they not be delicious. I cooked them five minutes less than the Ina Garten recipe called for, but it was still a few minutes too long. They were really good, but I think I could do better. I put them in the oven at 450 degrees for 15 minutes. 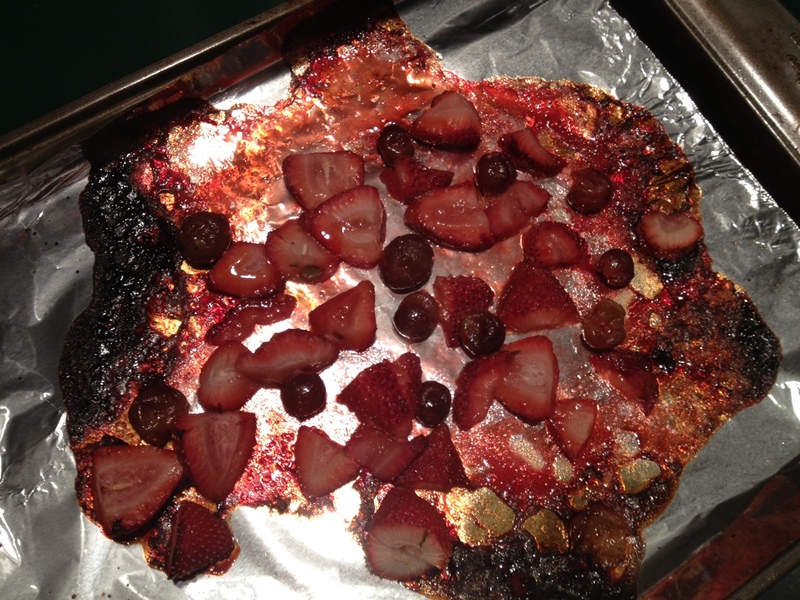 I only added a few teaspoons of sugar to the strawberries and grapes beforehand, then put them in the oven. Next time I might add balsamic. Or honey. I added them to some Fage 0% Greek Yogurt with cinnamon and a dash of vanilla. The mix was delicious, but like I said, I think I could do better with the fruit. Well, I am off to start laundry. Anybody ever try roasting fruit? This entry was posted in Uncategorized and tagged balsamic, food, friends, fruit, gramma, greek yogurt, ina garten, roasted fruit, summer. Bookmark the permalink. 1 Response to P.J., this one is for you. that looks all kinds of awesome. Thanks 2 Beths!